Kevin Ryan Berkon is a senior at the Pennsylvania State University and will graduate in the spring of 2013. On July 22nd of this year a grave injustice was done to a man who gave his heart and soul to Penn State University, a man who many looked to for inspiration, a man whose legacy was ruined by the actions of the Board of Trustees and Penn State Administration; that man was Joseph Vincent Paterno. His statue was taken down on Sunday morning, when few were awake, in an attempt to please the outside world and tarnish the reputation of our legendary football coach. Five nights before, two students began a vigil by the statue in response to threats of vandalism and stayed by Joe Paterno’s side until the very end. Because of their actions they were harassed; they were called Pedophiles, mocked by Penn State students and received death threats. But did they back down? No! They stayed because they believe in something greater, in a man who made this university what it is today. While the statue was being taken down, tears flowed as we saw a great man’s legacy torn apart by those who do not believe in justice. As President Rodney Erickson and other members of the Board watched from above, they obviously thought they made the right decision. But how can ruining a great man’s legacy be the right decision? Why do people seem to find pleasure in destroying a great man’s reputation? We find pleasure in it to make ourselves feel better about who we are; we enjoy seeing a larger than life man no longer be that man. Has American society fallen into the depths of hell? If we haven’t already, we soon will. Throughout the five nights that those students stayed by the statue, they were informed that Paternoville was changed to Nittanyville and that the restaurant in the HUB would be changing its name to no longer have any association with Joe Paterno. Is this right? To some it seems like small potatoes but to others it is another glaring injustice leveled at Joe Paterno. Have we allowed our lives to be ruled by incompetent leaders, are we giving up the fight and becoming brainwashed? The sad answer to this is yes! We can no longer lie down and play dead, if we do that we are guilty and the whole entire outside world will see us as that. We will fail! A few weeks prior a report came out, the Freeh report, in which made it seem as though Joe Paterno knew that child abuse was taking place by Jerry Sandusky and further it seemed as Joe covered it up to save his own reputation. For those of us who have read it know that this is not the case; no evidence was provided that Joe Paterno definitely knew and that he covered it up. This report was taken as gospel and with its inaccuracy NCAA sanctions were brought down upon the football team, hurting the entire Penn State community. President Erickson and the Board of Trustees have said that we need to “move on”. Well Mr. President, We Can’t and We Won’t! We will fight for what we know is right! We will fight for Due Process! I am sad that many students and adults have given in and will not make a stand against this injustice. Those students have allowed the media and those in higher power to tarnish the name of Joe Paterno and our beloved Pennsylvania State University. We are a family, and it is time that we stand together and fight for what we know is right. WE ARE… PENN STATE!! Thank you for sharing your sadness. You are not alone, you are joined by a growing multitude. Joe Paterno’s ethos challenged his superiors at Penn State and in other places. He did not challenge them, but they were too small to understand. We have a job to do; to put asunder tyranny, to weed out small minded expedience and to hold high the standards that made us proud. Bravo, young man. One lesson of the JoePa legacy is PASSION — in all things. Very well written. This is a great example of the students that PSU produces! I feel and hope that those students and alumni who have given in to the “move on” group are in the minority and in the end will come back to the fold understanding that we must follow due process and blame only those who are guilty. Society is in danger when we allow a few blow hards to shape what we think. Facts, evidence, proof and due process are the corner stones of the American process and we should NEVER waiver from doing it the right way regardless of the screaming of the uninformed. It is a life lessen that I hope and beleive we will continue to honor and teach at Penn State. In the end this fiasco will be turned around and it will be a teaching moment not to rush to judgement but to follow due process. Let those who are without sin throw the first stone…..
WE ARE and always WILL BE……..Penn State! Thank you for your great letter and its timely posting. 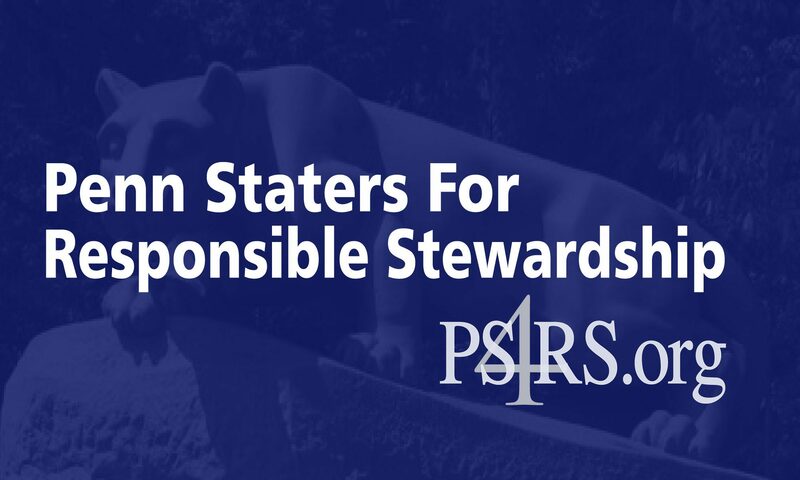 After reading over on Black Shoe Diaries about PSU students tired of us old alums not wanting to move on I was ready to throw my Nittany Lion Statue through the computer screen. You calmed me down and gave me faith again. Now, if the BOT just reads, and takes your writing to heart we may start making some progress! Bravo Kevin. I agree with everything you said. You’re very wise for a young man. I wish more young people, and adults, were as wise as you. It’s a twisted irony in this whole mess that Jerry Sandusky received due process but Joe Paterno, the man who dedicated his life to the university, did not get due process. And the worst part is that people are okay with that, that is until the shoe is on their foot, then they’ll see it differently. Sad that we can’t slip that other person’s shoe on our own foot first and see how it feels before we start condemning. If more people were willing to do that, there would be more compassion being shown for ALL the innocent victims in this case, not just the children but everyone who doesn’t deserve what has happened to them. Keep that clear-headed fairmindedness, Kevin, and you will do well in life.